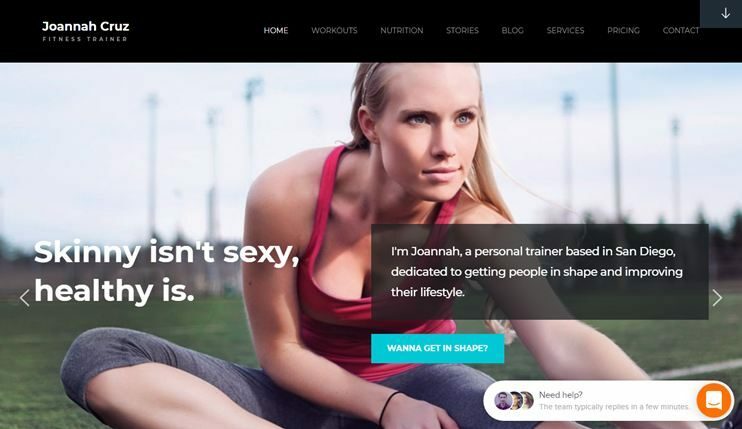 This article consists of some of the fitness WordPress themes to create a website for your fitness center; you’ll probably find the perfect theme here. These themes are specially designed and handpicked themes to create your website. These premium themes are highly customizable and flexible. They have specially designed content sections through which you can showcase your gyms timetable and services. There are also other provisions through which you can show other details. These themes can be used for spa/salons, gyms, wellness centers, physical exercise centers, yoga training institutes, and any similar purpose. You can download any of these themes and with the customization options, you can make it look the way you want. 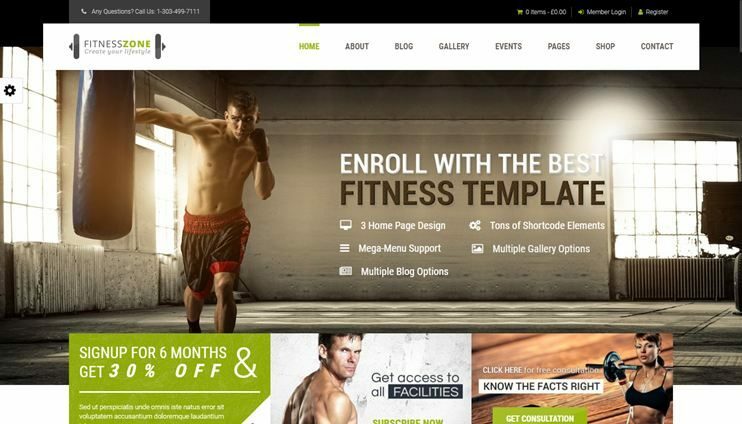 Note – Get more fitness WordPress themes options at Templatic. 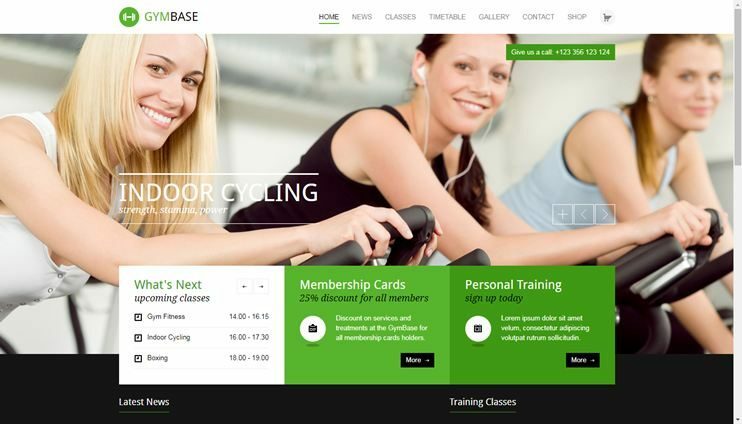 Gymbase is one of the premium WordPress themes for health and fitness centers in 2018. It is feature rich and customizable. It allows you to sell products on your website using WooCommerce. You can create pages for your website using the drag and drop Visual Composer page builder. The theme comes with abundant customization options to change the appearance of the theme. It has a time table page to display the schedule on your website. 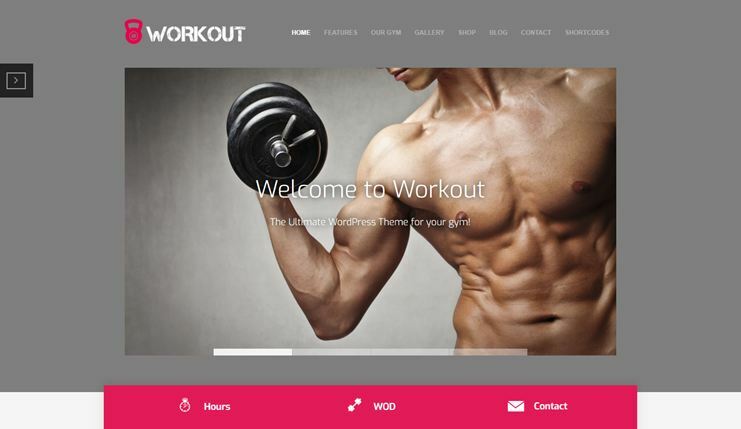 FitPro is one of the amazing gym fitness WordPress themes. It can be used to create one page or multi page websites. It is flexible and easy to use. It can be used to create a website for fitness centers, gym, spa, fitness trainers, etc. It has the facility of displaying and managing events with the Events Calendar plugin. FitPro has special post types for gallery, trainer profiles, pricing plans, etc. The theme allows integration of Visual composer for drag and drop page building. FitPro is SEO ready too. Entrepreneur is a theme for small businesses that focuses on bookings. It is simple but contains all the features you'll need to create your website in 2018. There are ready to use demos that you can directly use. The "personal trainer" demo version is specifically designed for gym and fitness centers. It has a smart booking and appointment scheduling system. It allows WooCommerce shop on your website. It allows drag and drop form building. Entrepreneur can be used by the fitness trainer, gym instructor, fitness center, etc. Workout is specifically designed for creating website for fitness centers, gyms, physical trainers, etc. It is highly customizable and very easy to use. There are a few ready to use page templates. You can include ecommerce features in your website using the WooCommerce plugin. You can create and post your workout schedules for the week on any page. There are custom post types for galleries, coaches, etc. The theme has unlimited customization options and intuitive shortcodes. 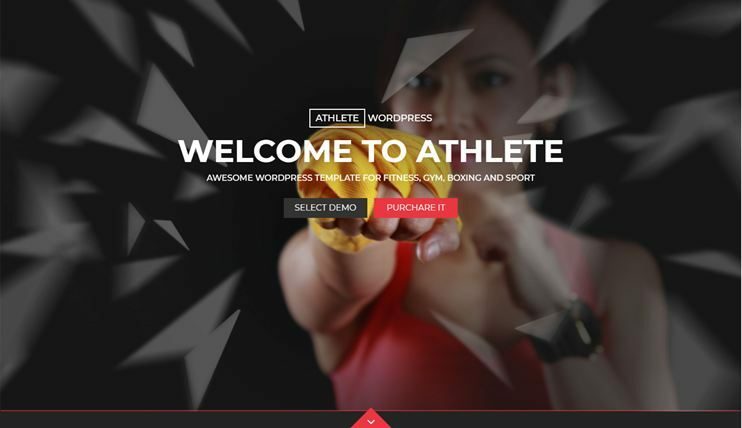 Athlete is sports and fitness WordPress theme. 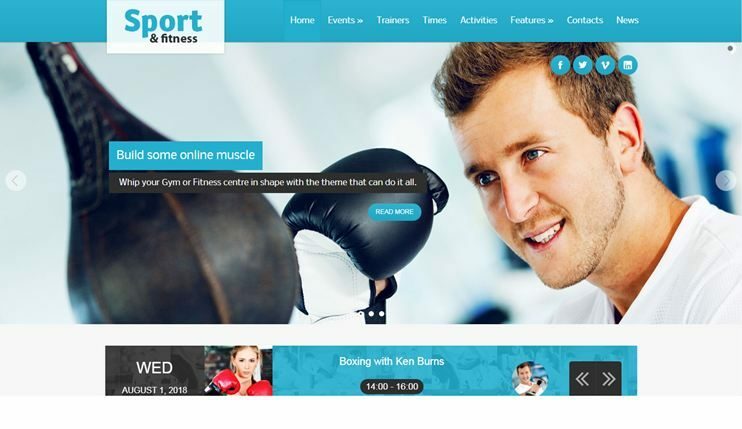 It can be used to create a website for fitness club, gym or a sports club website. You can choose from the 7 homepage versions available. You can also create a one page website using this theme. Customize the theme to suit your branding using the live customizer. To let you create and display events it includes eventOn plugin. It is also suitable for creating a one page website. It allows WooCommerce integration for ecommerce features. Yoga Fit is one of the most flexible health and fitness wordpress themes. It is easy to use and comes with all the basic features built in. To display your schedules, you can use the inbuilt time tables. It is compatible with WooCommerce and Events Calendar plugin. The theme comes with a shortcode library with utility based shortcodes. The content on your web pages can be easily restructured using the drag and drop editor. To make the content more interactive, you can apply the animations to content elements. Yoga fit is SEO optimized. 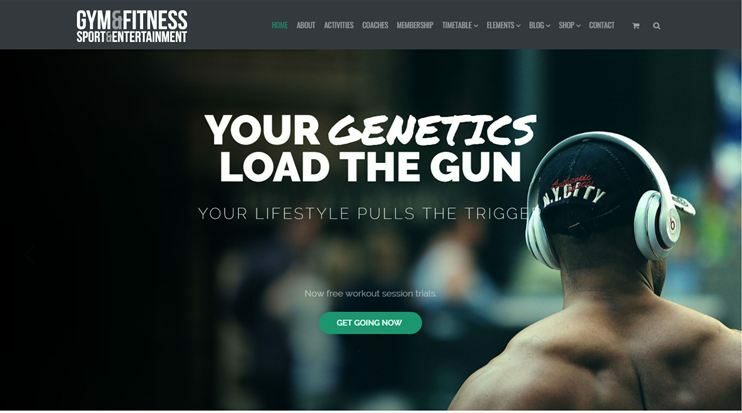 Fitness Zone is one of the best gym fitness WordPress themes. It has well designed blog page and portfolio options. Fitness zone allows you to choose from 5 homepage layouts. You can create unlimited pages with the drag and drop visual composer page builder. It allows compatibility with WooCommerce, Events Calendar, bbPress and BuddyPress. The theme also includes a BMI calculator. There are many options through which you can change the look of the website. You can try different combinations. 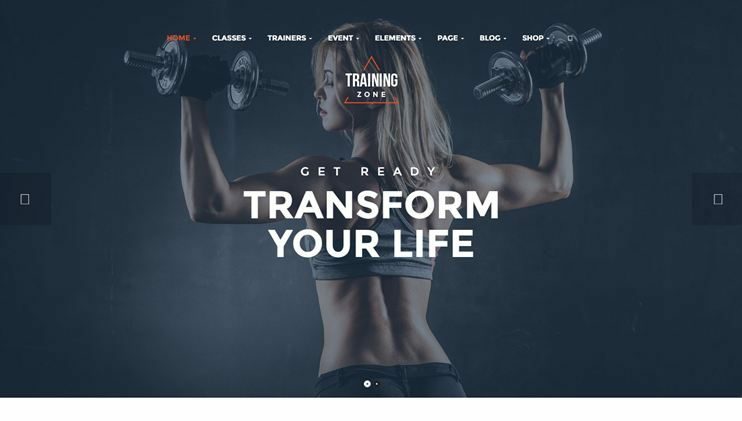 Training zone is a fitness center WordPress theme. You can choose from the 4 homepage variations. It is easily customizable and flexible. It has a beautiful and professional design. This theme comes with some basic pre-designed pages. You can create unlimited pages using the drag and drop Visual Composer page builder. The tutorial pages of the theme are designed for easy and convenient training. It allows Events Calendar integration for displaying events. This theme is specially designed for trainers, sports website, or a website for gym or fitness center. It is simple yet flexible. It lets you show your timetables, trainers and activities. This theme lets you choose the color for your website. You can easily create and show pricing tables. This theme comes with google maps integrated. 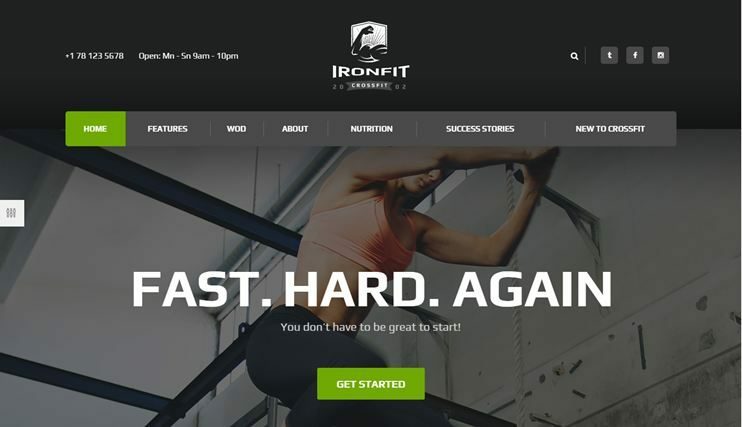 Iron fit is a theme for gym, fitness center, physical training institutes etc. The theme is flexible and comes with easy customization options. It has the features to to display events and schedules. It allows WooCommerce for ecommerce features. So, you can conveniently sell your products using WooCommerce. The theme is SEO friendly and performance optimized. It comes with utility based shortcodes to style and organize the content. 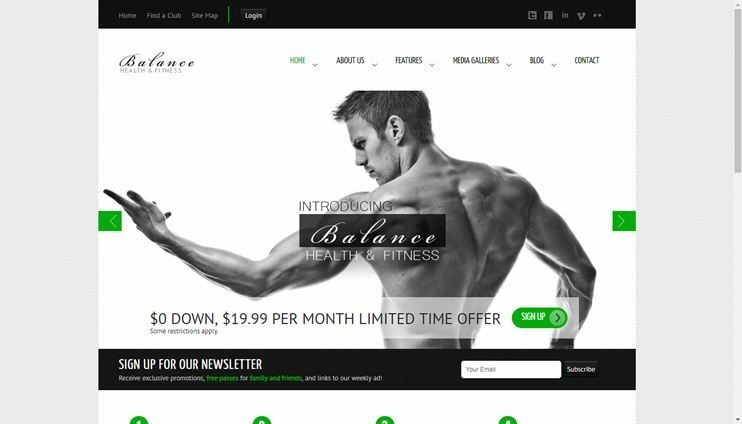 Balance is a simple but efficient fitness WordPress themes. It is easy to use and has all the features withing a simple management system. 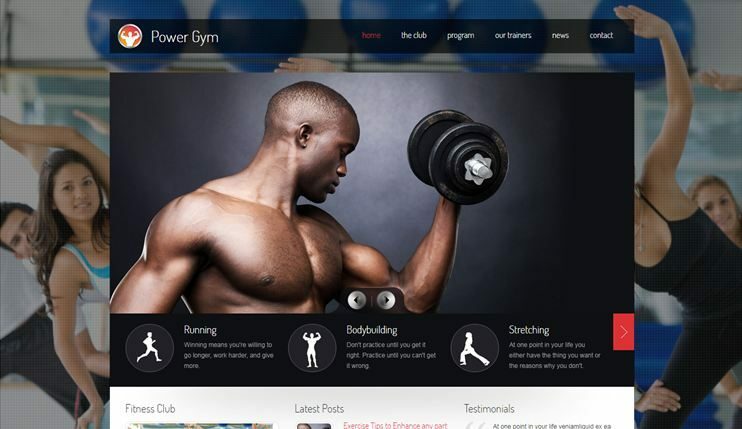 Power gym is one of the best responsive gym themes. It is simple, basic, beautiful and easy to use. The theme is highly customizable with easy and intuitive options. Power gym comes with an option-rich admin panel and custom post types. With the shortcodes you can style your content. It allows you to show the photos using galleries. It is SEO friendly. 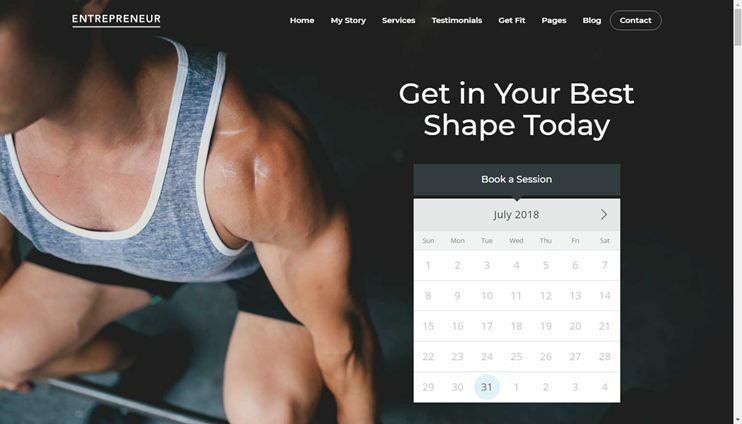 In shape theme is an elegant and efficient WordPress theme. It comes with easy to use features and customization options. You can display events on your website using the Events Calendar plugin. With the Visual builder you can create pages with utmost ease. The theme is SEO ready. This theme has features for automatic background. 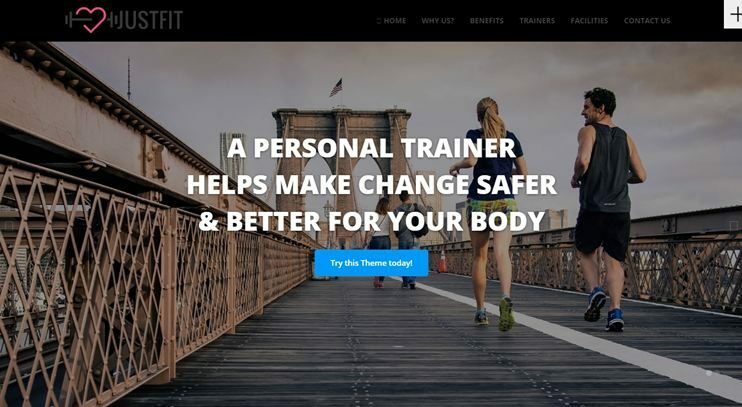 Just fit is a WordPress themes for crossfit gyms and fitness centers. It has a modern and sleek design. It is designed to let you showcase your results, blog, workouts sessions, etc and make your mark on the internet. You can manage the content sections by drag and drop options. Just fit is speed and SEO optimized. It is an adsense ready theme. Just fit has a clean and well-commented code. For selling things on your website, you can use the WooCommerce plugin. Just fit is thoroughly customizable and allows to make your website look just how you plan. 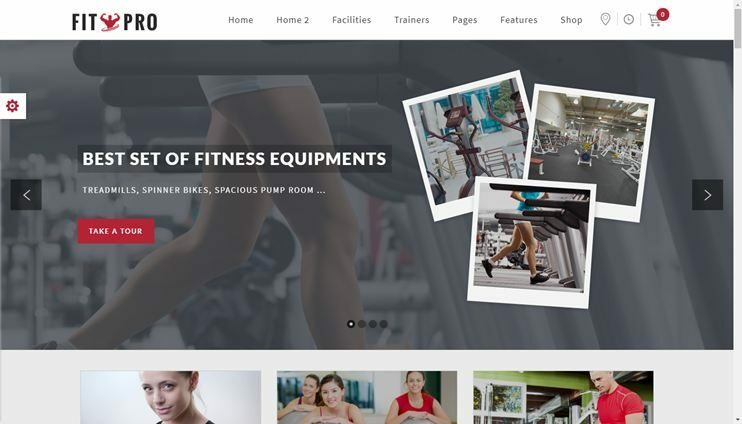 Gym and fitness is a feature rich theme for creating a website for a fitness center or a gym. You can create pages with the drag and drop visual composer page builder. The theme also allows WooCommerce for ecommerce features. For advanced customizations, you can use the child theme. The theme is speed optimized. Gym and fitness is highly customizable. Everything in this theme can be managed with easy options. It is SEO ready. The themes in this list will enable you to create a website even when you are new to WordPress. It ensures that you will be able to create premium websites without ever writing a line of code. They all come with a documented guide as well as technical support from the theme providers. So, all you need to do now is pick up a theme, buy it and update it with the actual data. They’re really very easy to use and manage. If you have any questions, queries or remarks, you can post it in the comments section below.